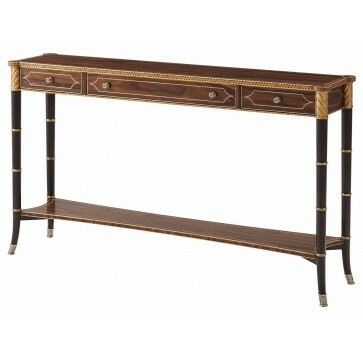 Empire style console table oil gilded in Dutch metal leaf distressed to show red gesso layer beneath. 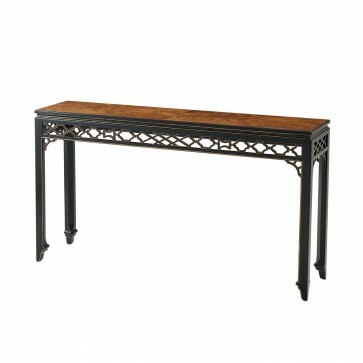 Empire style console table oil gilded in Dutch metal leaf distressed to show red gesso layer beneath. 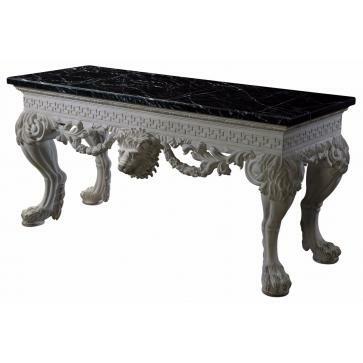 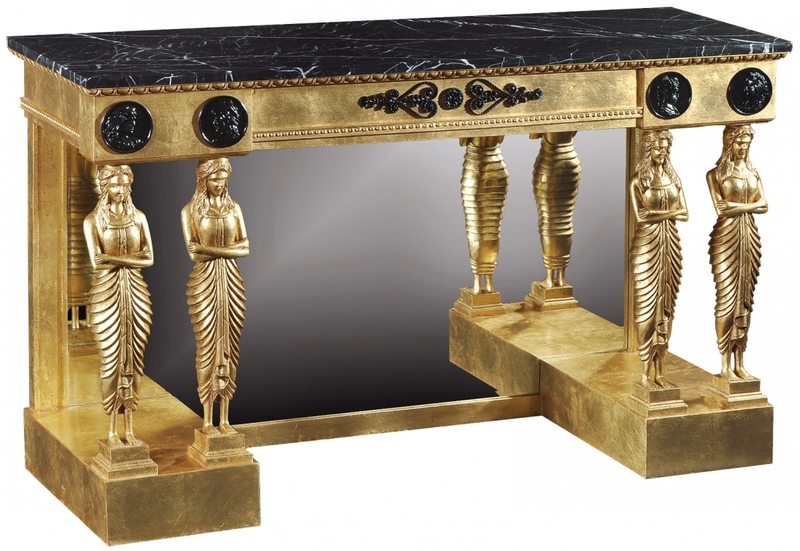 With black marble top, mirror backplate, hand carved figure supports and ebonised roundels. 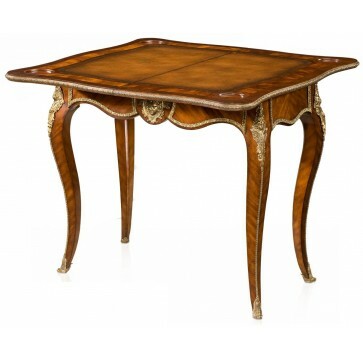 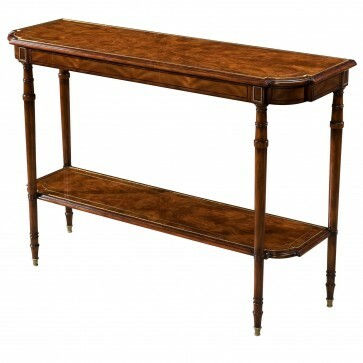 Brights of Nettlebed is proud to present this item, which is part of our Console / Hall tables range. 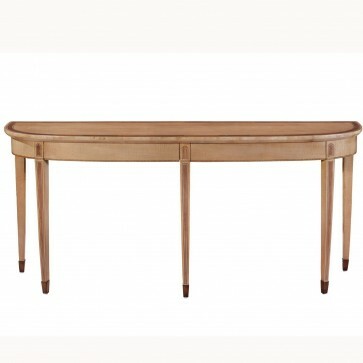 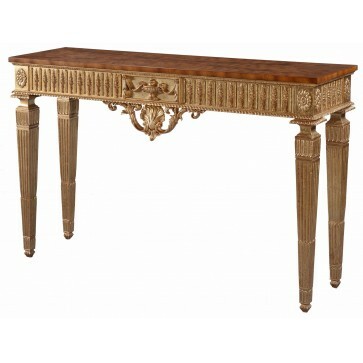 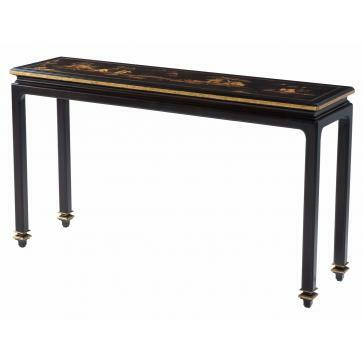 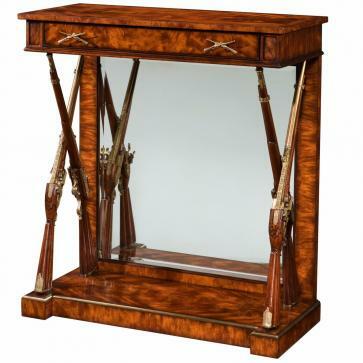 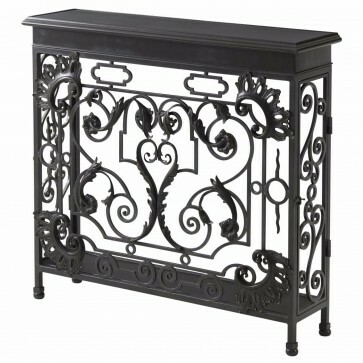 The Empire style giltwood console table is £2,250 to purchase and can also be viewed in your nearest showroom as well. 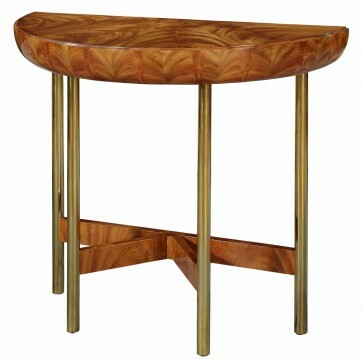 Brights carries a large range of Console / Hall tables and other bespoke pieces can be commissioned on request. 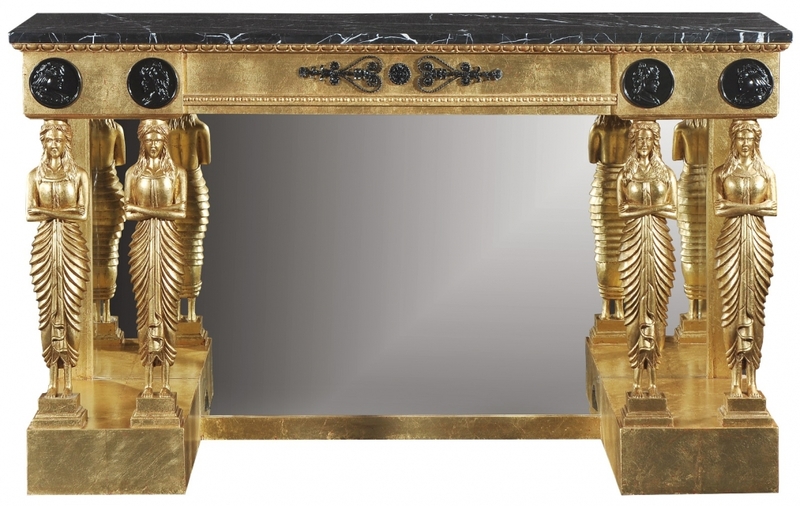 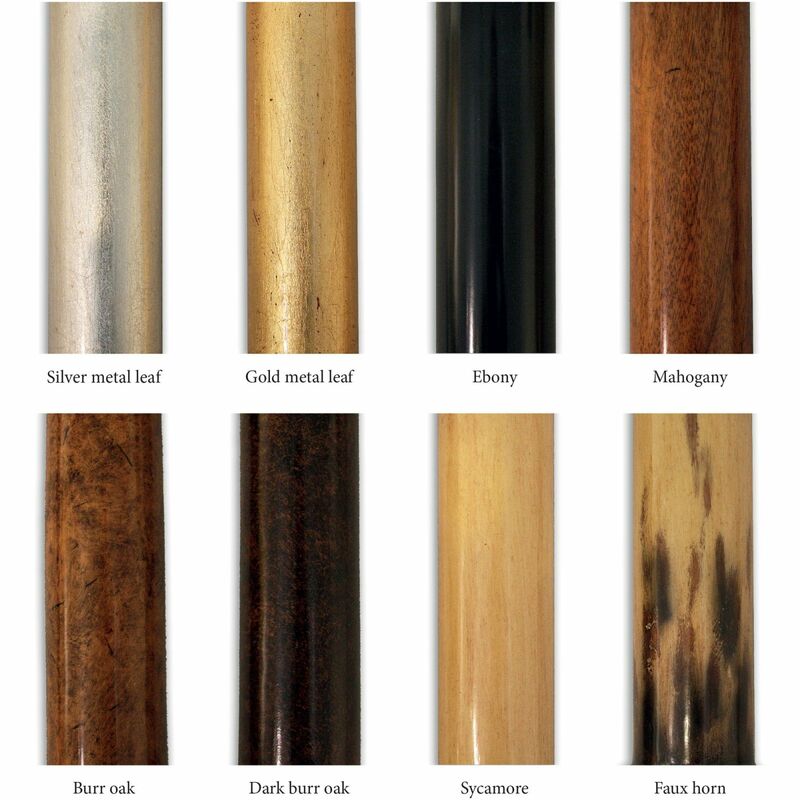 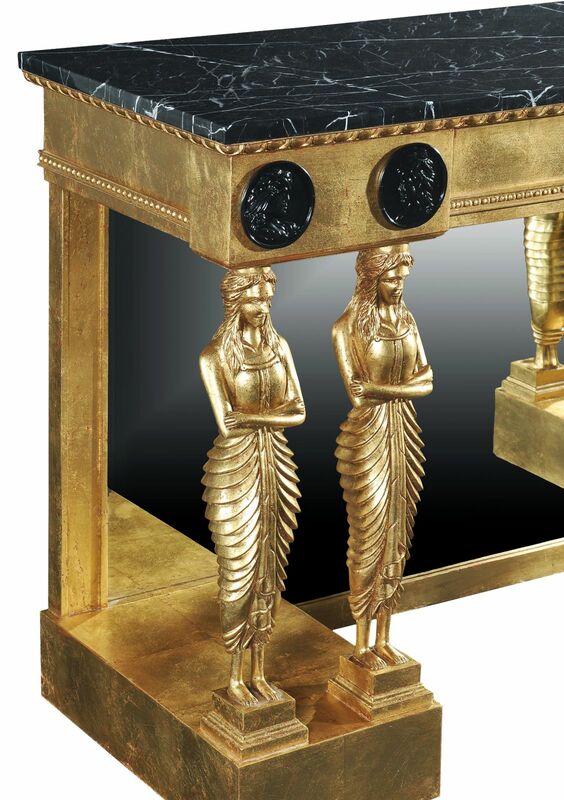 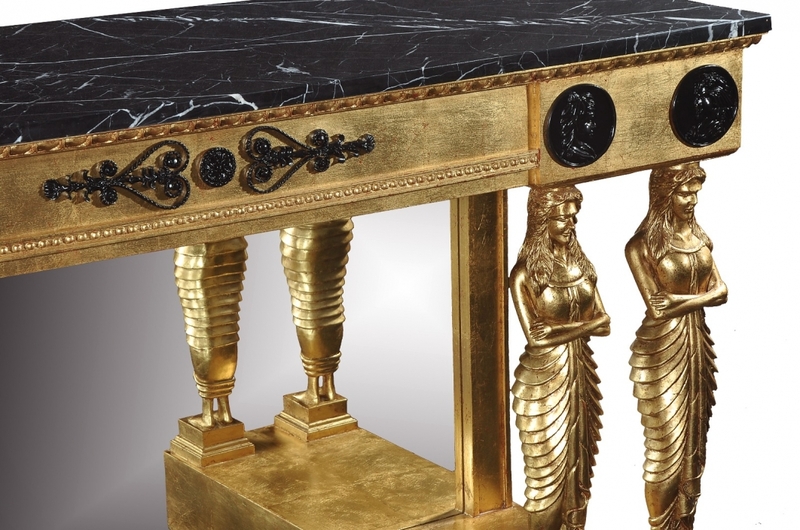 If you like more information on the Empire style giltwood console table, please do not hesitate to get in touch with us!